​ Use your Opencockpits modules to fly the very BEST Boeing 787 DreamLiner in P3Dv4 or FSX/FSX-SE. ​OCP4787 v2.0 supports MCPv2/v3 and Captain's EFIS. 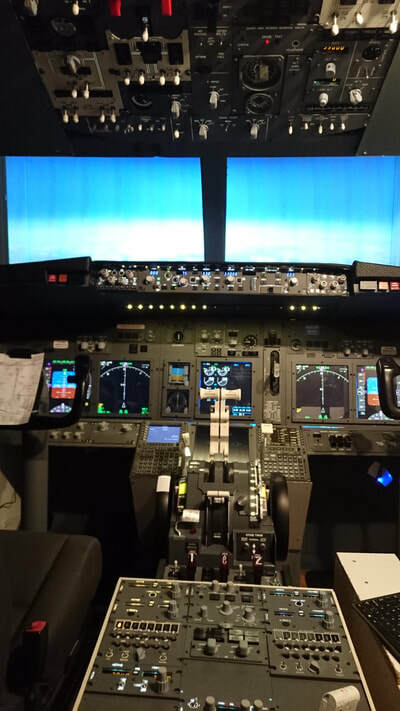 ​Dreaming of building a Boeing 737NG HomeCockpit as seen here? ​Or an advance desktop for flying the Boeing B737 / B747 / B777 airplanes? Then your best choice is to use the superior PMDG flight system software with Opencockpits software and hardware modules and OC4BAv4. OC4BAv4 comes with the B737NGX driver to use Opencockpits hardware modules to control the PMDG B737NGX airplane. By adding more airplane drivers to OC4BAv4, the same Opencockpits modules can also be used to control the PMDG B747v3 and B777 airplanes. You can start in the small with only 1 Opencockpits module and add new modules later on. Expanding your HomeCockpit or advance desktop setup with new modules are easy, just Plug&Play, no hassle. No need to be a PC guru to get things up and running in no time. HomeCockpit solution on the market. In addition rksoftware gives you "Best In Class" support if needed. OC4BAv4 lets you use Opencockpits hardware modules to control your PMDG’s B737NGX, B747v3 and B777 and AEROSOFT’s Airbus A318-321 for a much more realistic and immersive flight experience. 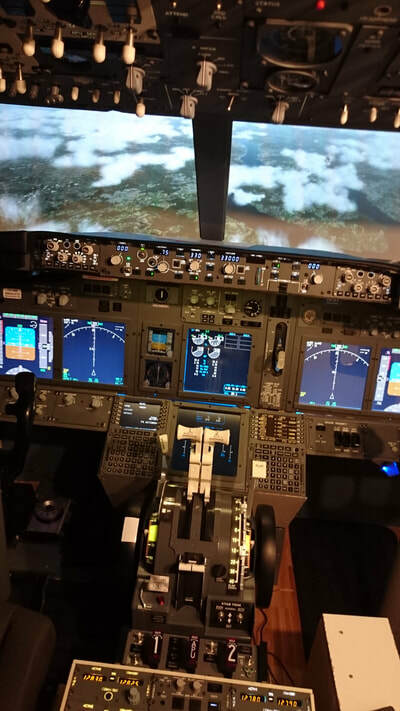 By combining PMDGs highly realistic airplane flight systems and Opencockpits proven and reliable hardware you can build a top realistic HomeCockpit solution with OC4BAv4 for any of the PMDG airplanes. OC4BAv4 will work with Opencockpits Modules ( see List) , Expansion/Master Cards, Servo Cards and other Opencockpits IOCARDs to interface and control PMDG B737NGX, B747v3 and B777X in FSX, FSX-SE and Prepar3D. OC4BAv4 comes with the OCP4NGX driver for the PMDG B737NGX included in the package. The other airplane drivers can be purchased separately and added to OC4BAv4. Copyright © 2019 rksoftware Norway. All software from rksoftware is for private, non commercial/non professional/non training use only. 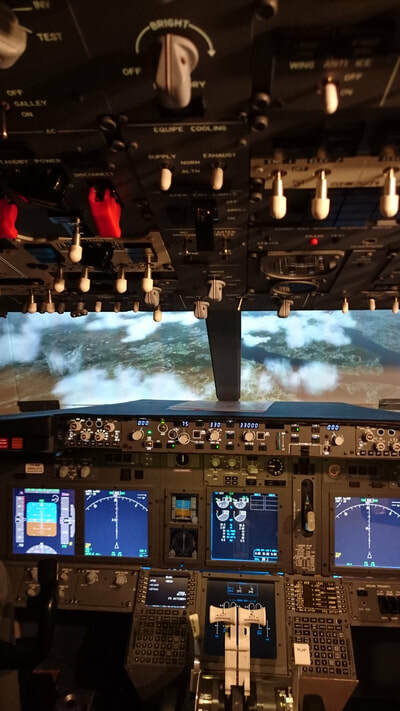 In addition users of rksoftware must adhere to the PMDG 737NGX, PMDG 737NGX SDK, PMDG 777X, PMDG 777X SDK, PMDG B747 v3 and PMDG B747 v3 SDK EULAs. Disclaimer: There is no warranty, guarantee of any kind, and I am not liable for any problems you may encounter while using rk software products. If you crash your aircraft I won't buy you a new.